Six Tricks to Enjoy Halloween with diabetes. 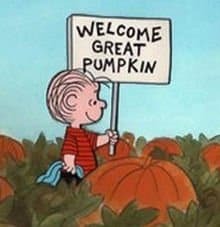 It is that time of year again, time to get ready for the Great Pumpkin and all of the fun…and anxiety that Halloween can bring many parents. For those families dealing with diabetes for the first time, the stress of trick or treating with diabetes can be greater than dealing with the challenges of Christmas. Children are invited to Halloween parties. There are Halloween events at school and there is the inevitable night of trick or treating. What do you do with all of that sugar?? Well here are a few things that have helped some parents get through. Its okay to let your child eat candy while he/she is out trick or treating. In fact, go ahead and encourage it (as long as usual Halloween safety rules are applied of course–Mom/Dad checks candy or it is from the home of a good family friend). All of the walking, running and general excitement will most likely lead to some serious low blood sugars. You can help to avoid this by letting your child eat the bars, rockets (Smarties for my US friends) and other treats. Your child will feel “normal” and it will be a fun way to keep blood glucose levels in range. Halloween is the perfect time to stock up on low supplies. It offers fabulous 15-gram packs of sugar just perfect to carry in your bag and treat lows. In fact, even if your child doesn’t take part in Halloween events, you may want to head to the grocery store during this time to grab a few bags of low treats and save a few dollars! They tend to be a lot cheaper than buying glucose tablets from the grocery store. If you like to stick to a set meal plan, you can still add in some of your child’s Halloween treats. A bag of chips is equivalent to a bread exchange. A snack-sized chocolate bar is the equivalent of a fruit exchange. For a treat, allow your child to have one of their Halloween items as part of a meal or snack. Some families offer their children cash for their candy. The children can then take the money that they earned collecting candy to purchase a book, game or favourite toy. Mom and Dad can take the candy to work or save it to enjoy during some downtime when the kids are in bed! Have the Great Pumpkin or Halloween witch come to visit. Much like buying the candy, parents will exchange the candy while the child sleeps. In place of their loot, the child will receive a movie pass, book or other treats that don’t involve food. Yet another way for our children to learn care and compassion is to take their candy to a local hospital or hostel. Have them share their candy with children who are unable to go out for Halloween. Halloween is often a fun time for children. Remember that children with diabetes are children first. Use some of the tips above to ensure that your child has a fun and memorable Halloween or let us know what works for you in the comments! 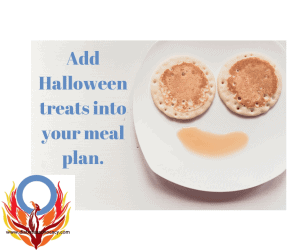 Posted on October 21, 2018 February 5, 2019 Categories Parenting a Person with DiabetesTags carb counting, children with diabetes, Halloween, living with diabetes, making diabetes normalLeave a comment on Six Tricks to Enjoy Halloween with diabetes. Today’s prompt is a tough one and a very interesting one. I no longer have a lot of dealings with the health care system regarding my son but over 16 years we have definitely had highs and lows. Our initial foray into the world of diabetes, involved a horrific healthcare experience–my son was misdiagnosed, sent home and almost died. Thankfully that was probably the worst of it (I know it couldn’t get much worse could it?). The upside was when he was finally diagnosed, we were given a doctor who truly helped to set us on a course for success. My son’s doctor believed in the most advanced treatments. He encouraged me to learn and to try new things. The rest of our diabetes care team was the same. They taught us carb counting when others were still using exchanges. Equally important, as I began to learn and explore the world of diabetes, they were eager to learn from me. That was both empowering and endearing. They cared–we were a team. Not everyone we encountered “got it” however and it has been important for me to try to empower my son in his own care. Soon after my son moved away, he had some sort of an attack (for lack of a better word). The doctors worried that it was his appendix but they never did establish what had happened. He was rushed to the hospital and the health care team attempted to manage his diabetes. My son told them point blank “You deal with what brought me here. I will handle my diabetes.” I was very proud. My son is quiet. It was very important for him to be able to do this for himself. He is now a young adult. He now sees a new team of doctors. He faces new challenges…and as a mom on the sidelines it is driving me crazy. He doesn’t feel that the new team has any idea about his diabetes care. From my limited knowledge, I believe it is made up of people used to dealing with older adults with Type 2 not young people who have lived with Type 1 all of their lives. Because of the area that he lives in, he is unable to “fire” them and find a new team. I have reminded him to politely let them know that he does know what he is doing. If he is showing them readings like I saw when he visited me, they prove that he does have this down pat. For the moment, he is biding his time until he can move to a new team. I am hoping to see him move back with me this fall to attend trade school. I have a friend who is now a CDE for adults. I am hoping to be able to get him in with her. I think it will be a huge help to him on all levels–she is a nurse, she lives with diabetes, and she has had diabetes since she was his age. A win-win-win. In the meantime, the issue does continue to frustrate me. Youth with diabetes have enough challenges. They face many issues with transitions and lifestyle changes. It would be nice if more of their diabetes teams could be supportive and work with them. There has to be a mutual respect of knowledge. I continue to remind my son that the health care providers have something to offer and he must share with them that he is knowledgeable as well. He finds it a challenge. He feels his knowledge is far greater than their’s and sadly, it may well be true. I then remind him that he has been very lucky. Over the years he has sat and spoke with some of the greatest diabetes minds in North America. This is not a privilege that everyone has had. Is there an answer? Balance. I’ve been reading on other health care systems around the world for inspiration, I just finished the faq about EHIC and I truly wish that there was more balance in our care and insurance systems. Patients are learning more now through their own research and through the experiences of others. Doctors and educators are also learning but there must be a partnership. Neither should be in a power position. Both should be working toward the common goal of best physical and mental health for the individual. Its too hard to count every calorie…or is it? We are coming to that time of year when many of us will be making New Year resolutions. I don’t do resolutions but I have decided on a few goals for 2016. One of them is to get rid of that spare 15 pounds that plagued me all last year. I have realized that there a variety of factors that have gone into my weight gain–change in activity levels as well as…cough…cough…age. I therefore decided to look outside the box for you to have some new weight loss tips and to know how to lower your unhealthy cholesterol. After almost 16 years of having diabetes in the house, I have a pretty good idea of nutrition. While I no longer have a massive driveway to clear of snow each winter, I make sure that I use the treadmill we have on a regular basis with a decent intensity. As I said, that has not been enough so I have purchased a few books to look for other theories and alternatives. For some reason I chose Dr. Phil’s 20/20 diet book to read. I won’t say if its good or bad because after almost 100 pages, I still have no real idea as to what his diet and exercise plan will entail. What did strike me was repeated reference to what it won’t entail…. He talks about how unrealistic and unsustainable it is for a person to count calories every day at every single meal. As I was reading along, I also saw that he mentions that he has insulin resistance and diabetes. I then began to laugh a little. While I agree fully that counting every single calorie and weighing every single morsel of food is a challenge, it’s not an option for a person living with Type 1 diabetes. Well it is but the alternative of not doing it is lethal. I was reminded of this again after a recent visit with my son. He sat on the couch with a bag of chocolate covered jube-jubes. He was eating candy after candy, enjoying the super sweet taste and giving us a review of each morsel. I was reminded how easy it is for the average person to simply mindlessly eat. In my son’s case, he had to count every single candy that entered his mouth. He then had to multiply it by the carbohydrates in each candy. Finally he would input it in his pump to have the proper amount of insulin delivered to his body. Dr. Phil was right in part, weighing, measuring and calculating can be a fulltime job. However, if you live with Type 1 diabetes, it’s a job that you do not have the option of quitting any time soon. Posted on December 22, 2015 August 31, 2018 Categories UncategorizedTags carb counting, counting carbs with diabetes, diabetes daily life, diabetes life, living with diabetes2 Comments on Its too hard to count every calorie…or is it? For those who don’t live with diabetes and don’t know, November is Diabetes Awareness Month. It’s a month that people who have lived with diabetes, share and work to educate the public to the realities of diabetes. 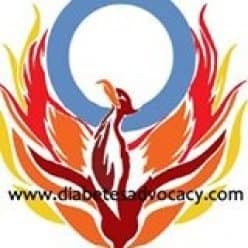 As the mother of a person with diabetes, I know a lot about diabetes. I know how dangerous it is. I know how difficult it is to maintain healthy blood glucose levels. I know that it is a 24/7 job. I understand the technology. I understand the cost but I don’t live with it going on in my own body. I can only empathize and guess. The other night my mind began to wander as it normally does. I started to imagine what it would be like to be the one living with Type 1 rather than just the support system. It was terrifying and overwhelming. I didn’t think about the lancing of my fingers. I jump at the sound of the lancet being shot out so the process would take a ridiculous amount of time for me. I didn’t think about injecting myself with a needle or infusion set. I cringe at needles and look away when I am getting blood work done but do what I need to do when I must. I didn’t worry about counting carbs for every single morsel that entered my mouth. Its something that I tend to do without thinking about it after years of totalling my son’s meals. I did think about living life on a roller coaster however. As a parent, I know how rare it is to have more than a few hours of blood glucose levels in range at any given time. Yes, you can be in range for 4, 6 or even 12 hours at a time but depending on the regimen and your activity level that is a lot of work to maintain. The rest of the time you are fighting highs or lows. Dealing with numbers is one thing. Dealing with the physical feeling of your body being high, being low, being “normal” must be incredibly difficult. I thought about being low. I know how horrible I feel when I am overly hungry. I know how I feel when I have somehow missed a meal and my stomach begins to growl, my head pounds and I feel more agitated than normal. I also know that during those times my blood glucose level is usually only hovering between 4.2 and 3.9 (75-70). In other words, just barely low if low at all. My son can be much lower and I don’t hear him complain. What must he and others be going through? I thought about being high. I don’t have a lot of reference there. I have had that occasional meal that you know is a major carb overload and I feel lazy and sluggish. I am guessing a person with diabetes feels that way and worse. When it gets really bad, my son is constantly in the washroom, guzzling water and fighting the need to throw up. I appreciate that the extreme end of vomiting when high is not a norm, but I am sure that some of that stuff like the drowsiness or the thirst is relatively common as his numbers climb. That has to be annoying. Just in case it isn’t enough to have to monitor your food intake without respite, and just in case it isn’t torture enough to be jabbed and stabbed multiple times per day, factor in the physical response. Factor in the response of your body to your errors in providing the exact right amount of insulin for all situations. Consider how you would feel if your blood glucose level suddenly plummeted as you were in the middle of something important. Consider the feeling of a sudden spike because you are facing an anxious situation. This the rollercoaster that you ride every minute of every day when you live with diabetes. No wonder people burn out. No wonder our children want us to take it away. No matter what we do as parents; no matter how empathetic we are, most of us don’t live with diabetes on a daily basis. We can’t begin to truly fathom how it physically feels. No wonder many would just as soon forget. After two minutes of thinking about what life must really be like for my son, I couldn’t handle it. No one should have to handle it. I am grateful for the discovery of insulin that allows people with diabetes to live, but insulin is not a cure. They need a cure. Posted on November 3, 2014 November 3, 2014 Categories UncategorizedTags diabetes awareness, diabetes care, living with diabetes, parenting a child with diabetes, type 1 diabetesLeave a comment on What if it were me?